Bureau, Boca, Smoove – In 2015, it’s all about 45! This year is all about small vinyl making a huge impact on dance and club culture once again. As usual, the epidemic starts in the UK, thanks to DJ Smoove’s and Boca 45’s crazy-amazing 7-inch vinyl parties. Now the virus is going to sweep the party people on the continent off their feet! Boca 45 – Bristol’s most eclectic producer just announced his new album, to be released end of March. 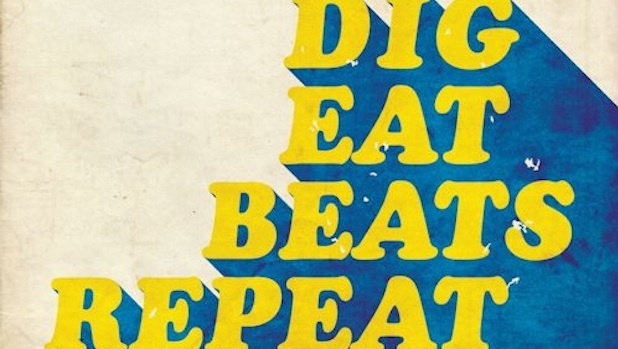 He’ll present “Dig, Eat, Beats, Repeat” as well as all the 7-inches that shaped his unique sound! From soul, funk, hip-hop to disco, rock, and beats! Listen to Boca’s new single “Mr Big Sun” featuring Stephanie McKay. Do we really need to introduce DJ Smoove once more? He’s the musical mastermind behind Smoove & Turrel’s hugely successful 2014 album “Broken Toys”. Now he rediscovered his love for the 7-inch format and amazes the dance crowds with a massive fun experience. Check out Smoove’s new strictly 45 vinyl mix! And there is also more to come from bureau45, now in their 10th year in the music business. Be prepared and be sure to be part of the 45 movement! Contact frank@bureau45.com for details and bookings!